The BlackBerry Classic should be coming to AT&T and Verizon soon enough. 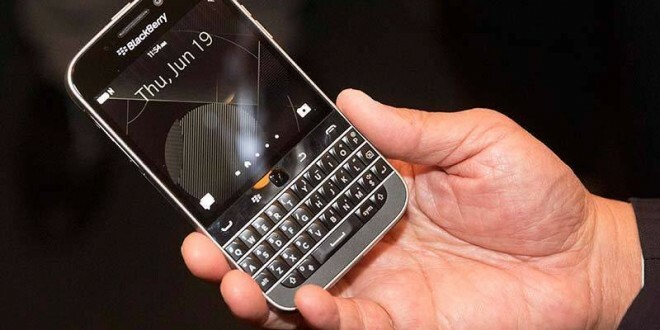 The long-awaited BlackBerry Classic aka the Q20 QWERTY smartphone was finally launched by the company. Too bad it wasn’t on a Thursday, since the BlackBerry Classic is a throwback and aims to bring back those who have lost interest in the original BlackBerry Q10 with its own QWERTY keyboard. The staple features of the original BlackBerry Classic have been brought back and you can now find the trackpad, as well as functions keys on the new phone. The phone will be available at Verizon and AT&T in the U.S and at Bell, Telus and Rogers in Canada. While we don’t know when exactly will the U.S. carriers start selling the BlackBerry Classic, we can estimate that it will be in stores by January 2015. The BlackBerry Classic pre-orders have already been sold out, and users could buy the Classic for $500. That’s also the expected unlocked BlackBerry Classic price in the U.S., but we could see a small price drop since phones tend to be a bit more expensive in Canada, as a trend. The BlackBerry Classic isn’t just a re-launch of the old model, bringing interested smartphone enthusiasts new features like a massive 2515 mAH battery, a new browser and BlackBerry 10.3.1 OS. The BlackBerry Classic also comes with the BlackBerry Assistant and will work with BlackBerry Blend, too. The BlackBerry Classic, even though a throwback, is a best-seller so far, alongside the Passport, selling in big numbers and getting good reviews. The Passport is intended for power users who like the unconventional design of the phone, while the BlackBerry Classic aims to impress original BlackBerry fans as well as convert Android or Apple fans, and give the average user a high-end experience. We can’t wait to see the BlackBerry Classic released in the U.S. and Europe and we can sincerely congratulate John Chen for successfully launching two new products and bringing the company back onto its feet in a record amount of time. Kudos. Previous Flappy Bird – The most popular video game of 2014?